This group of children had a clever idea to determine if an object's shadow shifts with the moving sun. "Let's build the CN Tower outside and see where the shadow goes!" 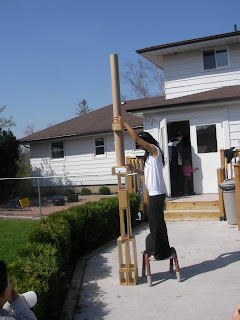 When they were finished building the tower, the teacher posed an interesting question. "How will you know if the shadow moves from now until this afternoon." "Let's fill it in," replied one of the young girls. 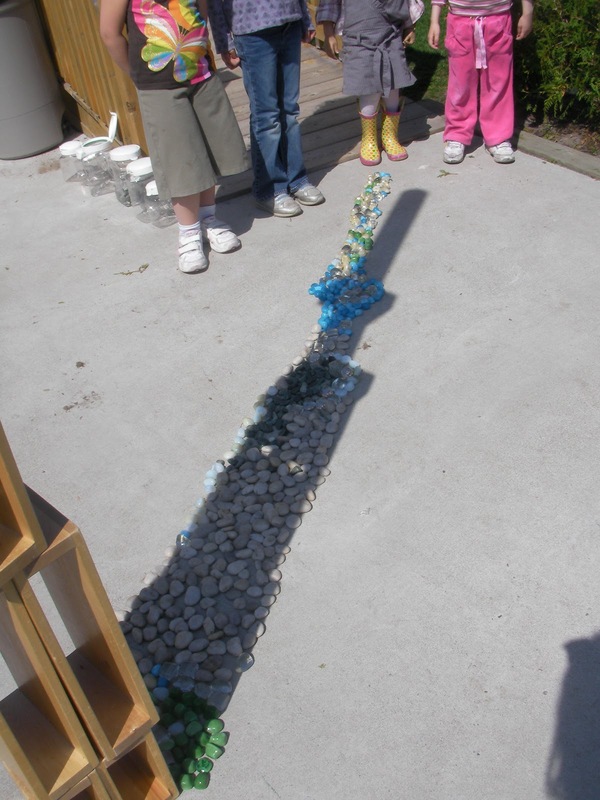 Using loose materials, the children filled in the shadow of the tower as it fell at noon. 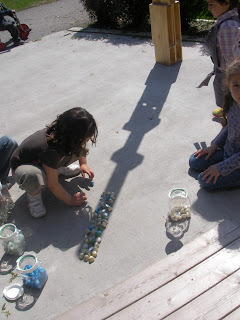 They returned to the playground at 3:00 p.m. and found that the shadow had indeed moved! The children looked and noticed that the shadow had indeed shifted. Very smart children! It is wonderful that science was taught in such a fun manner. It is even more wonderful that it all came from the children. It was the children that had the question and it was the children who figured out how to get an answer. This is just wonderful!! Is a Shadow always Black? Don't Wait for the Elephants! "Even in the montains you can find a city!" This blog is a tribute to the students of Reggio Kids who in conjunction with their teachers give new meaning to preschool education. 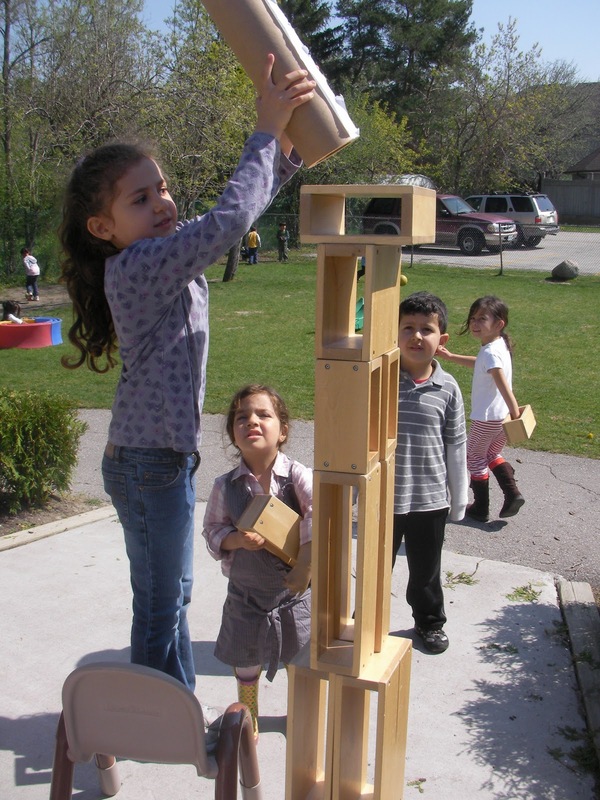 Each day we are challenged to provide the children with a rich pedagogy that recognizes them as contributors to the educational process! This blog is intended to support your journey as teachers. copyright reggiokids 2010. Awesome Inc. theme. Theme images by Xaviarnau. Powered by Blogger.